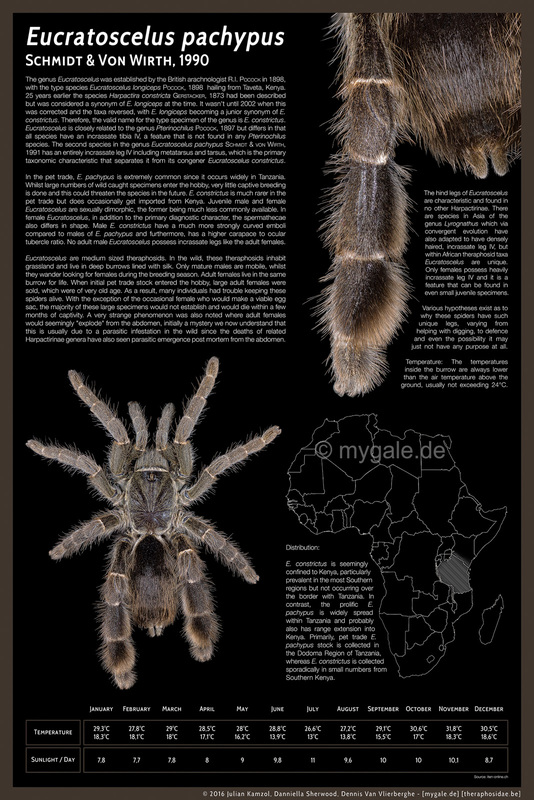 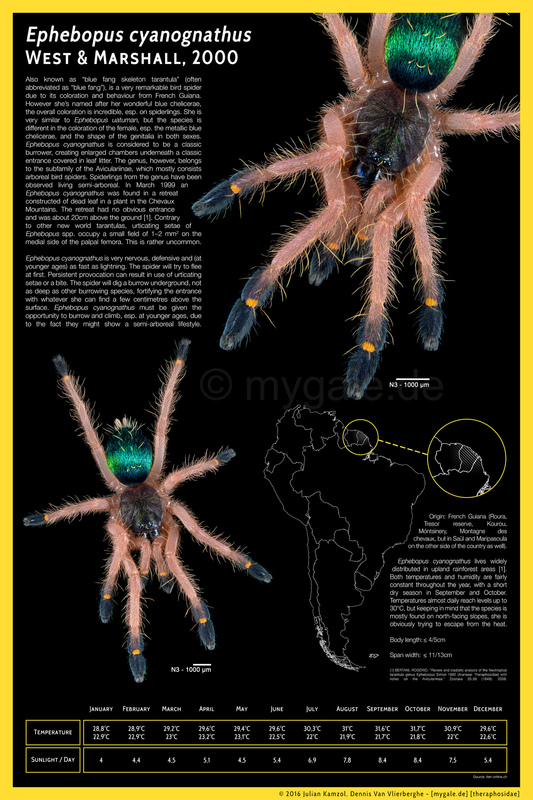 This poster shows my latest macro images of different body parts of various tarantula species. 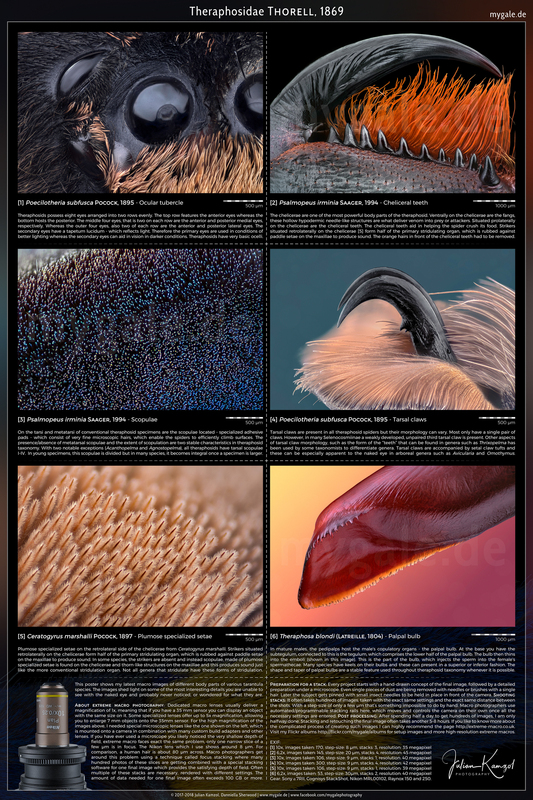 With a magnification between 6x and 10x, the images shed light on some of the most interesting details you are unable to see with the naked eye and probably never noticed, or wondered for what they are. 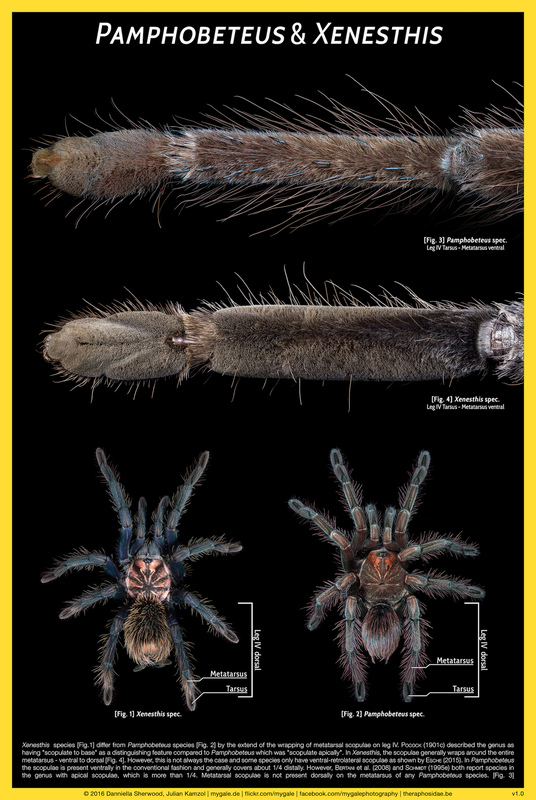 With a resolution of over 444 Megapixels, it shows even the tiniest details!